Within 250 miles of Northfield, MN. 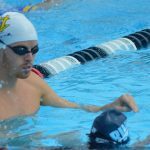 Give your swimmer the opportunity to get ahead of the competition at this High Performance FFT Swim Clinic. 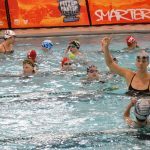 Two-time Olympian Chloe Sutton will be in the water teaching your swimmer the proper technique for FASTER turns, underwater dolphin kicking, breakouts, and finishes! Take a photo while wearing Chloe 's medals, get autographs, and a gift from TYR Sport!